The Futurist painter, sculptor and graphic artist Fortunato Depero, who left a famous mark on Italian culture by designing the conical bottle in which Campari Soda is still sold today, was born on this day in 1892 in the Trentino region. Depero had a wide breadth of artistic talent, which encompassed painting, sculpture, architecture and graphic design. He designed magazine covers for the New Yorker, Vogue and Vanity Fair among others, created stage sets and costumes for the theatre, made sculptures and paintings and some consider his masterpiece to be the trade fair pavilion he designed for the 1927 Monza Biennale Internazionale delle Arti Decorative, which had giant block letters for walls. 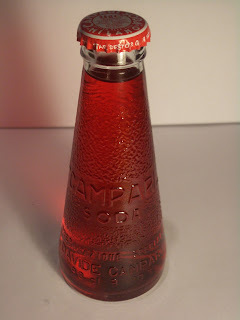 Yet it is the distinctive Campari bottle that has endured longest of all his creations, which went into production in 1932 as the manufacturers of the famous aperitif broke new ground by deciding to sell a ready-made drink of Campari blended with soda water. It was the first pre-mixed drink anyone had sold commercially and Depero, who was already working with the Milan-based company on a series of advertising posters and stylish black-and-white newspaper ads, was tasked with creating a unique miniature bottle in which the new product would be packaged. 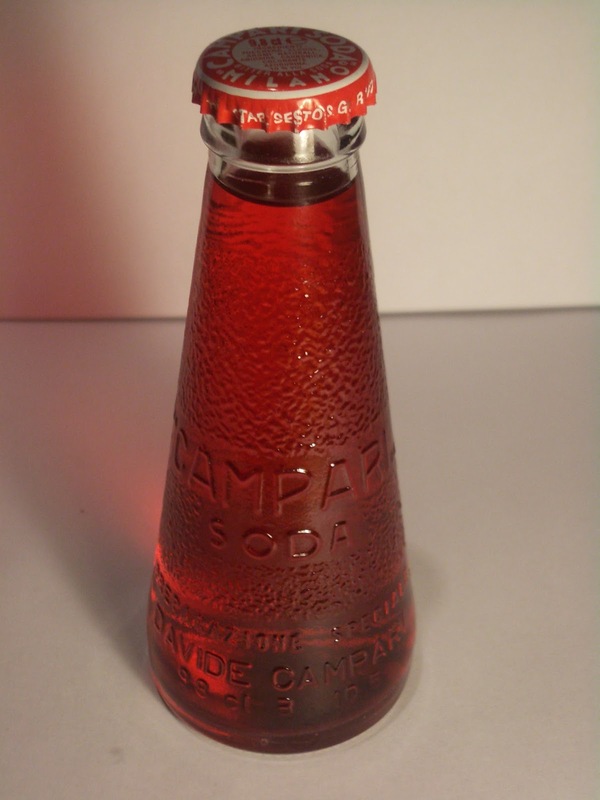 The conical shape, a little like an upturned glass, made it stand out on the shelves and at a time when the modern and unconventional was considered chic was perfect in helping establish Campari Soda as the sophisticated pre-dinner drink of choice among Italy’s style-setters. The shape, timelessly modern, has not changed fundamentally in 88 years since and has become an icon of Italian design. 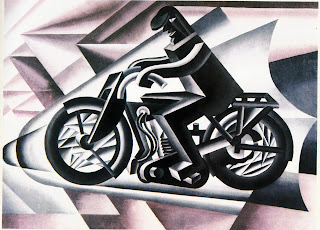 Depero was born either in the village of Fondo or its neighbour Malosco, about 40-50km (25-31 miles) north of Trento, and went to college a little further south in Rovereto, between Trento and Verona. He was apprenticed in a marble workshop, having been turned down in his efforts to obtain a place at the Academy of Fine Arts in Vienna. He first became aware of the Futurist movement on a trip to Florence in 1913 and when his mother died the following year he decided to move to Rome, where he met fellow Futurist Giacomo Balla. Together they produced an extraordinary text entitled Ricostruzione futurista dell’universo (Futurist Reconstruction of the Universe), a manifesto that reflected the core values of the movement, which rejected everything ancient and classical and aimed to free Italy from what was perceived as a stifling obsession with the past. The establishment tended to dismiss Futurists as cranks, because they admired the speed and technological advancement of cars and aeroplanes and the new industrial cities, all of which they saw as demonstrating the triumph of humanity over nature through invention, and wanted to depict those things in their art. Yet in many ways, Depero and Balla and talented Futurist painters such as Carlo Carrà and Umberto Boccioni, who embraced a parallel obsession with nationalistic revolution and the overthrow of the hierarchical class system, foresaw how the 20th century would unfold, from the evolution of technology to the explosion of violence and the spread of mass communication. The movement was ultimately tarnished by its association with Fascism, with which they initially shared similar goals in terms of wishing to build a strong, egalitarian, productive, youthful and modern Italy. Once the link existed, it was difficult to break and after Mussolini’s regime was defeated there were many Futurists who found themselves shunned. Depero himself found Italy an uncomfortable place after the Second World War and decided to return to New York, where he had spent a couple of years in the late 1920s, working on magazines and in the theatre and even building a house. During his second stay, which lasted until the early 1950s, he published an English version of an earlier autobiography, entitled So I Think, So I Paint. 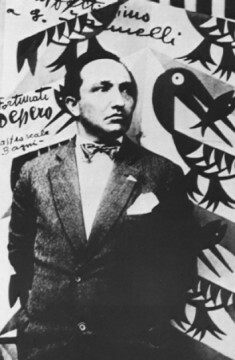 Depero returned to Italy and lived out his final days in Rovereto, where he died in 1960 from complications of diabetes. 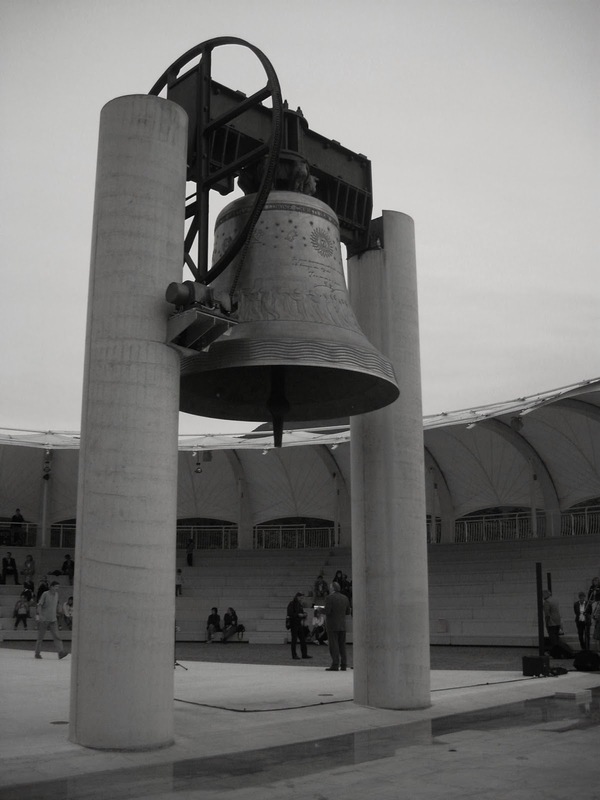 A large collection of his work can be seen at the Museum of Modern and Contemporary Art of Trento and Rovereto. 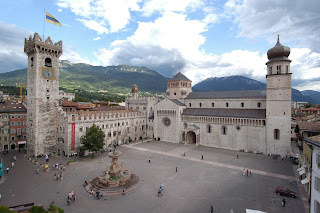 The picturesque small city of Rovereto, east of Riva del Garda, is notable not only for the aforementioned art museum but for a 14th century castle, which contains the Italian War Museum, and for the Maria Dolens (Mary Grieving) bell, also known as the Campana dei Caduti (the Bell of the Fallen) and the Bell of Peace. 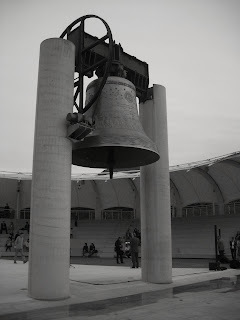 The second largest swinging bell in the world, it was originally the idea of a local priest, Father Antonio Rossaro, to honour the fallen of all wars and to invoke peace and brotherhood. Cast in 1924, since 1965 it has been located on Miravale Hill outside the town and sounds 100 times at nightfall each evening. The city of Trento is considered to have arguably the best quality of life in Italy, based on climate, surroundings and employment opportunities. With a population of 117,000, it is situated in an Alpine valley on the Adige river between the northern tip of Lake Garda and the border city of Bolzano, about 115km (71 miles) north of Verona. It was controlled by the Austrians almost continuously from the 14th century until the First World War. In the 16th century, it hosted the Council of Trent, the ecumenical council of the Catholic Church that gave rise to the resurgence of the church following Protestant Reformation.